There are several amazing products and procedures available at Artisan 57. In fact, I think I’ve probably tried them all – haha! But, I’d have to say that my absolute favorite is Kybella! This miracle injection has transformed my profile and helped how I see myself. KYBELLA is an injectable medication used in adults to improve the appearance and profile of moderate to severe fat below the chin (submental fat), also called “double chin.” It is a chemical that is identical to something produced within our own bodies that helps us absorb fat. When this chemical is properly injected into the submental fat, it PERMENANTLY destroys fat cells! When I first heard about Kybella I was extremely excited! Despite being a healthy weight and for the most part, pretty fit, I had been plagued with the dreaded “double chin.” Anytime I saw photos of myself, especially from the side, I was horrified with the look of my chin/neck. As soon as Kybella was available at Artisan I wanted to be FIRST to try it!!! So, what was the procedure like? Instead of using a topical numbing agent, like you would for other injections, I was instructed to simply ice the area for 30 minutes. After that, Dr. Alison Tendler used a grid-like diagram to mark the areas for injections (about 25 spots). The injections themselves were pretty painless because of the numbing effects of the ice. Each injection burns for about 5-10 minutes afterwards. I would describe the feeling as mild to moderate discomfort that quickly subsides. Immediately after the procedure, I experienced minor bruising, numbness, and the area was sore for about ten days. I was also pretty swollen right after, and then continued to swell more through the rest of the evening. The swelling part is no joke, so be prepared for that! The worst of it lasts for a good 2-3 days so plan accordingly if you have social events that you are worried about. As the swelling subsided, the area under my chin started to get firm and almost “lumpy.” Swelling, bruising, pain, numbness, redness, and lumpy areas in the treatment region are all considered expected side effects. These side effects were all explained to me before the procedure so I wasn’t alarmed or too bothered by what I experienced post treatment. So, did it work??? Seeing is believing. Here are my before and after pictures. I have undergone three treatments (about 8-12 weeks apart) and I have observed a profound change in my profile! For me, this was the ideal way to resolve my concerns without having to undergo surgery. While results may vary from person to person, I have experienced a profound change and reduction of submental fat after just 3 procedures. Most individuals require 3-6 procedures depending on the severity of the fat in the area and the body’s response to the chemical. 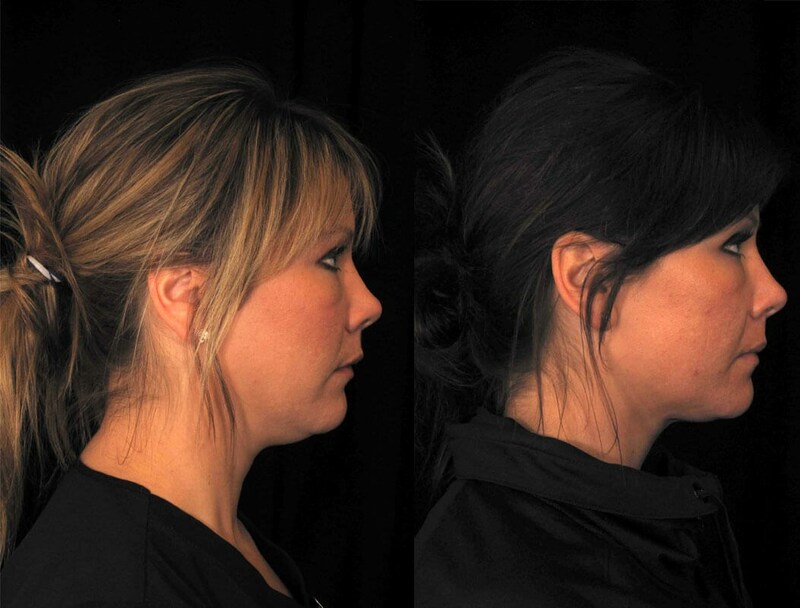 Kybella permanently destroys fat cells and is currently only approved for use in the submental region.